Baby is a shiny, black cat in Alexandria, Virginia. 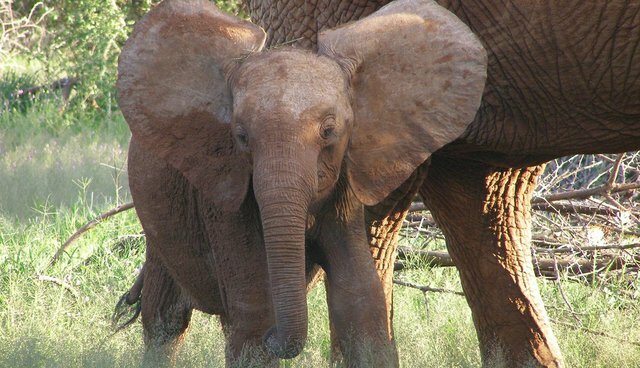 Ruby is a baby elephant in Amboseli National Park in Kenya. Separated by thousands of miles, they're the best of friends. What could bring such an adorable pair together? "Ruby and Baby ... an Unlikely Friendship," a children's book by Mary Jane O'Loughlin, tells the delightful tale of these two unusual friends who strike up a pen pal friendship. It turns out this incredibly cute duo can teach us a lot about love, friendship and the power of innocent wonder. With charming, colorful illustrations by Lizzy Lahive, the story alternates between Baby and Ruby's point of view, giving us a window into their lives, families and homes. We first learn how they become pen pals, and then we get to read their sweet and funny emails to each other. Above all, as we learn more about Ruby and Baby's lives, the book perfectly captures the enthusiastic affection of young friendships, the kind of youthful attachment that transcends all differences. They come from completely different worlds, but they are bonded by a mutual joy, curiosity and delight - and their friendship is all the stronger because of it. These are the kinds of friendships that make our world a better place. You can't help smiling when you read this book. 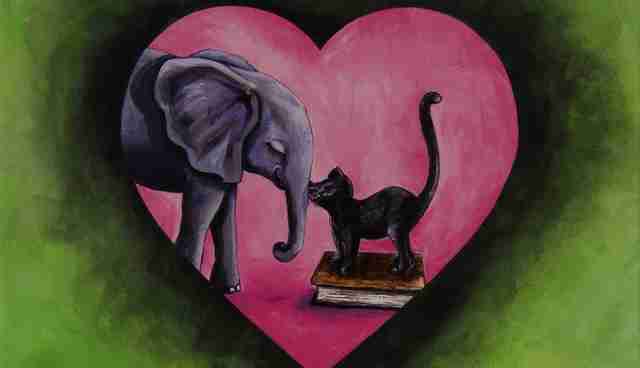 If an elephant and a black cat can be best friends ... maybe we all can. And if we can learn to have as much affection for elephants as we have for our own pets, we may even more motivated to help save them. As Ruby says in one of her emails to Baby, "Love is a language all animals understand." Author Mary Jane O'Loughlin, inspired by a trip to Kenya where she met a baby elephant herself, wrote the book to encourage people to learn more and care about saving wild elephants. The book has been praised by Dr. Jane Goodall and is part of the City of Alexandria Public Schools summer reading program. A portion of proceed's from the book's sales will be donated to the Amboseli Trust for Elephants in Kenya. For any child (of any age) who loves animals, or who longs to have a pen pal in a faraway place, "Ruby and Baby" is a heartwarming choice. You can purchase "Ruby and Baby ... an Unlikely Friendship" directly from the website, www.rubyandbaby.com, or from Amazon. Mary Jane will also be reading and signing copies at a free event in Washington DC on Saturday, Sep. 26, at Upshur Street Books from 3 to 5 p.m. All are welcome! To learn more about our work to promote elephant welfare and end the global ivory trade, follow us on Facebook and visit our site at www.elephantsdc.org.